1155 Private James Wallace Ireland, 9th Brigade, 34th Battalion, "D" Embarked 02 May 1916 aboard HMAT Hororata A20, in Sydney for Southampton England. World War One Enlistment papers list postal address as King Street East Maitland. James Wallace Ireland died 1952, East Maitland, New South Wales, Australia. Fathers Given Names Edward Gladstone, Mothers given Names Elizabeth Agnes. registration Number 32466/1952. The purpose of the Returned from Active Service Badge (RASB) is to recognise Australian Defence Force (ADF) members who have returned from active or warlike service during military campaigns in operational areas. The RASB is not issued posthumously as the badge is intended to identify those who have returned from active service. [S152] John Griffiths (Reliability: 2), 14 Sep 1884. James Wallace Ireland born 14 Sep 1884, Raymond Terrace, New South Wales, Australia. James W Ireland born 1884, Raymond Terrace, New South Wales, Australia. Father Edward, Mother Elizabeth A. Registration Year 1884, Registration Number 19673. 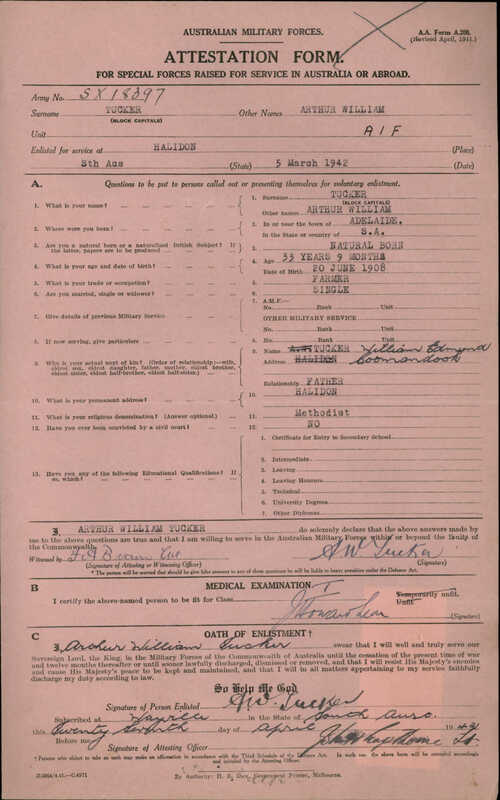 [S64] World War I Military Service Record, Australian Government, (Australian National Archives), 1 (Reliability: 3), 16 Jan 1916. [S34] National Archives of Australia, 1 (Reliability: 3), 16 Jan 1916. [S34] National Archives of Australia, 1 and 5 (Reliability: 3), 16 Jan 1916. World War One Military Service Record - lists his King Street, East Maitland. [S4] NSW BDM, New South Wales Government (Reliability: 2), 1952. [S34] National Archives of Australia, 14 (Reliability: 3), 12 Aug 1919. World War One Military Service Record - See page 14 of the attached document - Awarded British War Medal, Victory Medal and Return from Active Service Badge. [S152] John Griffiths (Reliability: 2), 27 Aug 1879. [S220] The Newcastle Morning Herald & Miners' Advocate Newspaper, New South Wales, Australia, 2 (Reliability: 3), 3 Sep 1879. Edward Ireland married Elizabeth Agnes McGlinchey 27 August 1879, West Maitland, New South Wales, Australia. Marriage announcement published in The Newcastle Morning Herald and Miners Advocate Newspaper, Wednesday 3 September 1879, Page 2.